Is habitual behaviour something marketers should try to disrupt - or take advantage of? "The Habitual Shopper" Series will explore the key insights and themes from the presentation "The Force of Habit: The New World of Consumer Behaviour" by Dr. Neale Martin, founder of Sublime and author of the book "Habit". Part 1 covered the interplay between The Habitual Mind and the Executive Mind, while Part 2, outlined how these minds operate within the context of shopping behaviour. In Part 3, the final post of this series, we'll take a look at how to apply that thinking to either manipulate, or reinforce, "The Habitual Shopper". If your brand is not currently purchased by the Habitual Shopper in your category, or if the Autopilot shopping behaviour in your aisle is preventing your shopper from purchasing more or different varieties of your brand, you've got an issue. Your mission, in this case, is to shift the Habitual Shopper into another gear: out of Autopilot Mode and into Co-pilot or Pilot Mode. One option, which is the traditional way at it, is through manipulation and bribery, through special promotions and sales. Sales, price-cuts, and limited time offers can snap the Habitual Shopper into Co-pilot Mode, by using bright signs and stickers that get their attention. 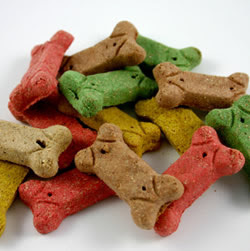 They may forgo their usual, habitual purchase and be tempted to try something new. In the same respect, they may buy a few different varieties than they usually do. There is, of course, a downside: although manipulation and bribery may help spark immediate trial, taking away the bribe may result in the shopper slipping back into their original habit. It isn't a sustainable way of changing behaviour. A more sustainable option, on the other hand, might include (a) forcing the Habitual Shopper out of a familiar environment, or (b) making the existing environment a bit more engaging. Introducing an unfamiliar environment may include bringing the brand or product outside of its usual place in the store and showcasing it in an unexpected way. End-aisle or in-aisle displays are standard issue examples of this. It may also include changing the way in which the brand is displayed, merchandised, or delivered at-shelf. Making the environment more engaging may include providing more information on the product - through QR Codes, info displays, or even interactive screens. One possible pitfall to watch out for: unfamiliarity and increased engagement may cause the shopper to focus on "reorienting" themselves, rather than shopping, resulting in a somewhat frustrated shopper. If your brand is being purchased by the Habitual Shopper in your category, or if creating good habits - shifting your shopper from Co-pilot or Pilot Mode into Autopilot Mode - will increase the enjoyment of your shopper and lead to increased sales, your mission is a lot different. In this case, you'll need to create the habitual shopping behaviour and reinforce that behaviour through cues, training, and rewards. Creating, or embracing, the Habitual Shopper in your category can help turn an aisle that has the potential to be confusing and unfamiliar into one that is easy and fun to shop. (1) Make the brand easy to find and organize SKUs in a way that's logical and intuitive to the shopper. Think about how many SKUs shoppers are bombarded with in every aisle - just looking at a shelf of products can be overwhelming. By organizing and displaying SKUs in an intuitive way, shoppers can easily find what they're looking for, and discover SKUs they didn't even know about. Using special cues, colours, and merchandising can help with this. (2) Use emotion to draw them in. 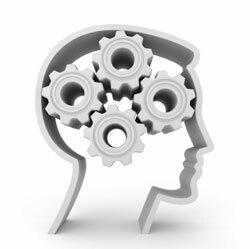 Remember, the Habitual Mind - the unconscious part of the brain - acts mainly according to emotions. Feel, do, think. It reacts quickly and decisively according to simple stimuli that play on or evoke feelings and emotions. Keep that in mind when attempting to use images and the senses to build in habitual shopping behaviours. (3) Facilitate automatic purchases. This is the ultimate form of Habitual Shopping: when the purchase is made without the shopper even having to act on it! Take the subscription model that newspapers and magazines use to lure in continuous customers: once you've signed up, the paper or magazine will continue to come and your bill will continue to be charged accordingly. Once signed up, this can be a very difficult habit to break. Compare this to relying on readers to remember to buy the newspaper or magazine everytime a new one comes out - they can't be relied on! Campbell's soup had a problem: the shopper trekking past the soup shelf was a Habitual Shopper - they were in Autopilot Mode. 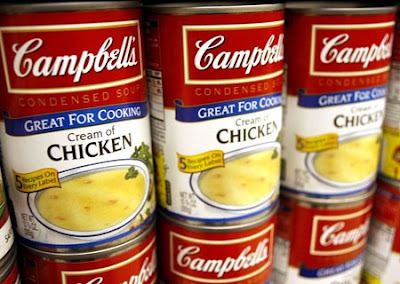 Although Campbell's is the leading brand in its category, those shopping its shelf tended to default to their usual types of soup. And when you look at how the soup shelf used to be organized, how can you blame them? The labels on the cans all look the same, and the images of the different varieties tended to be very small. 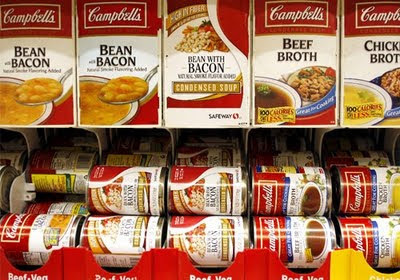 Campbell's needed to shift the Habitual Soup Shopper into Pilot Mode so that they could discover the wide variety of soups that the brand offered. 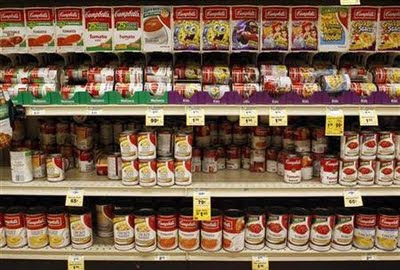 They did that by completely changing the way that their product is delivered at-shelf, turning the cans on their side and letting them roll out as shoppers picked them up. The pay-off? 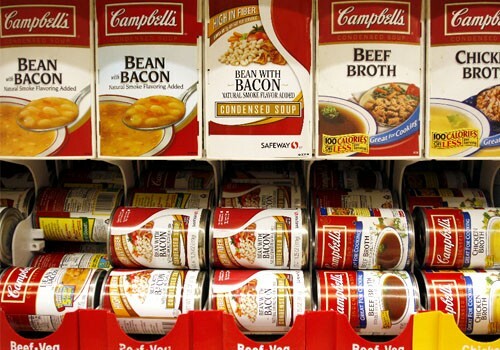 Room for panels with enlarged versions of the soup can labels: offering a delicious-looking beauty shot of each type of soup. In the photo below, you can see how the new merchandising set up compares directly with the old one. Which one seems more engaging to you? The SAQ, a wine store that operates in Quebec, had a different problem. The average wine-drinker was relatively uneducated about the different types of wine and the different types of tastes that are available. To them, the store seemed like an unfamiliar and confusing place. It was unpleasant to shop, and so wine-drinkers tended to repeatedly purchase the same, familiar brands of wine. In order to help their shoppers expand their palate and make the wine shopping experience more enjoyable, SAQ created a series of "Taste Tags", coloured icons that each represented a different "taste" of wine: four for Red wine and four for White. Each wine bottle in the store, regardless of its country of origin or price point, was now tagged with an icon that represented its taste. In a sense, the SAQ reorganized how wine is merchandised and sold to people, going from an industry-centric approach to a more consumer-centric approach. 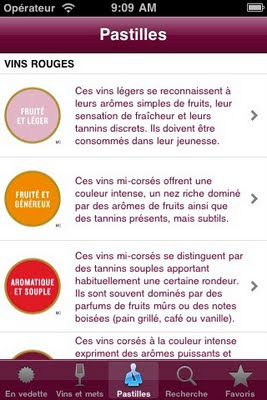 To make shopping for wine even easier, the SAQ created a system in which shoppers could enter their preferences and other pieces of information and receive recommendations for the Taste Tags that were right for them. 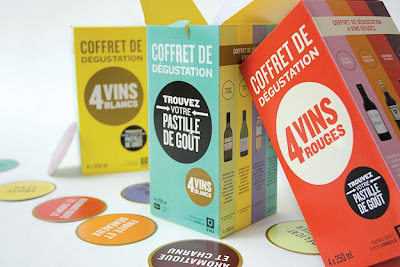 Knowing what Taste Tags to look for, they could then enjoy exploring the store and discovering new brands of wine to try. Enjoyed this post? Check out Part 1 and Part 2 in the "The Habitual Shopper" Series.